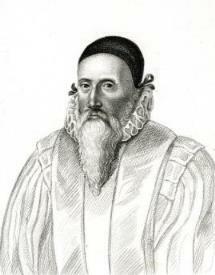 John Dee (1527–1609) was one of the most intriguing figures in Tudor Britain. The model of a Renaissance man, he harboured interests in astrology, alchemy, history, religion, medicine, magic and much more besides. In this talk, Katie Birkwood explores Dee’s life story, thoughts and personality, which survive in the personally annotated collection of his books, now residing at the library of the Royal College of Physicians, London. Find out how the modern division between ‘science’ and ‘magic’ has to be set to one side when considering Dee and 16th century knowledge. Medical practitioners who are Fellows or Members of the College will be admitted free of charge.